See this photo at EyeEm. 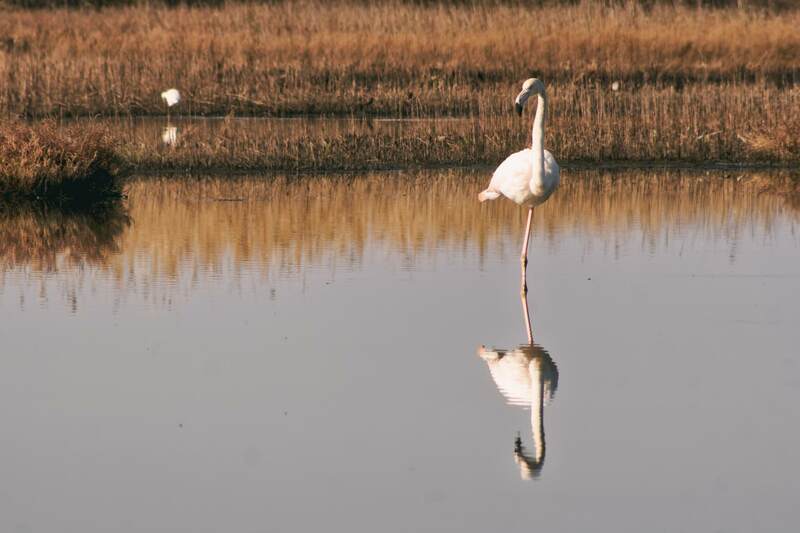 Three Flamingo Photos, by Mike Jackobo. 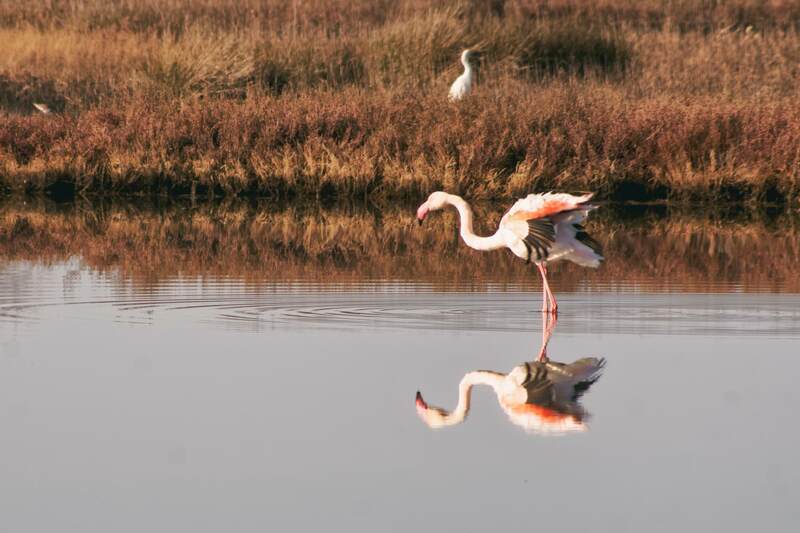 Three Flamingo photos, taken at the old delta of Arachthos River, in Western Greece. 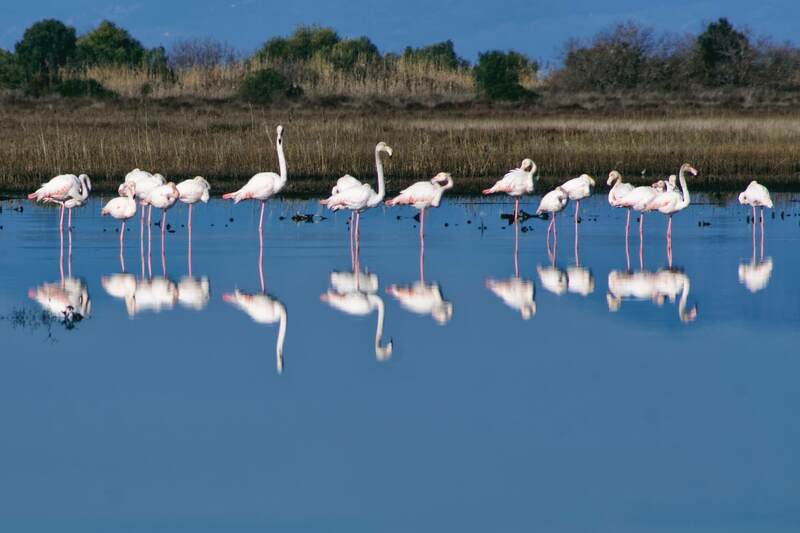 I have already mentioned the flamingos at northern Amvrakikos Gulf. It was the first time that I visited the area in winter. A local told me once that there were birds in the lagoons at winter. So, this year, that I had my days off work at that season, I visited the area to check on the truth of those words. What I discovered was a huge concentration of Flamingos. It is one thing to see them in images and videos -or even in a zoo- and another to see them in the wild. Their colour contrast the natural colour of the surrounding area and it makes them stand out in the landscape. When they take flight, it’s a beautiful but powerful spectacle. They have relatively small wings so, it requires a lot of strength to get them off the ground. Of course, when a human approaches, they begin walking away. So, it’s not easy to get close to them. For this reason, I had to use a full manual 300mm lens on the Sony a6000. While the camera has quite a few focus assisting features, they are not designed for such a situation. That meant that I had to take many photos in order to increase my chances of having some acceptably sharp photos. In the end, I had to pick from a small number of photos. I decided to present a batch of three photos in a single article instead of picking just one or making separate posts. Especially the latter was out of the question as it would mean that I had to write three texts for almost the same thing.